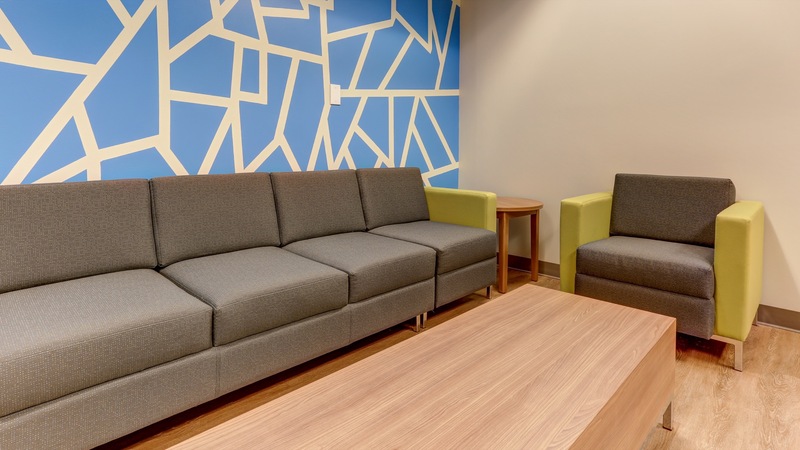 Moving into a new corporate space, LINQ and Meals Plus wanted a space where employees would feel inspired and proud to work. We had a blank slate that allowed for creative freedom. We took home some marketing collateral for research and used it throughout the design process for reference and inspiration when pulling together materials and finishes. These clients weren’t afraid to use color! 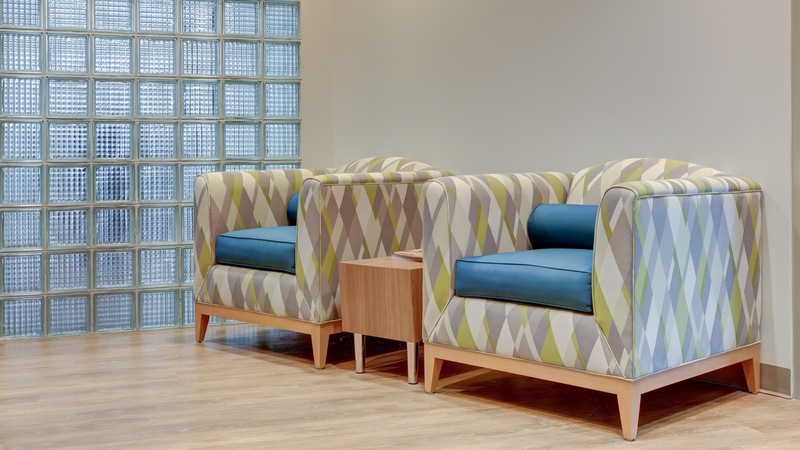 Using brand colors, we incorporated the vibrant color scheme into accents in the paint and furniture elements. 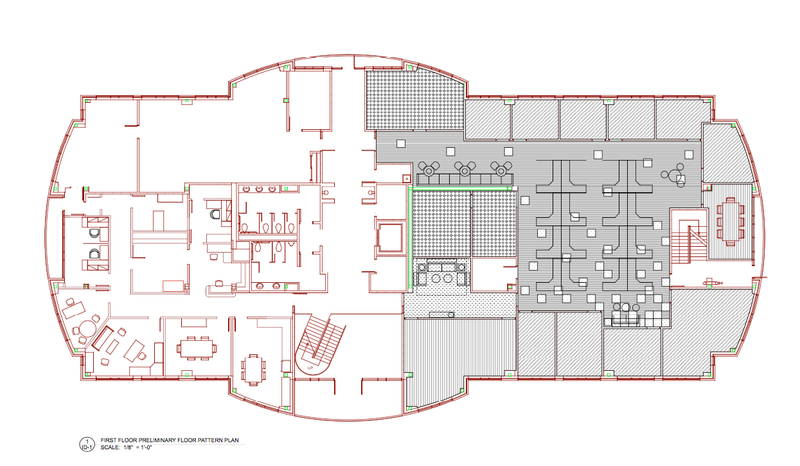 The clients wanted an elevated design but were working with a budget. We created an accent wall with tape and bold cobalt paint that had the impact of a wallpapered statement wall without the associated cost. 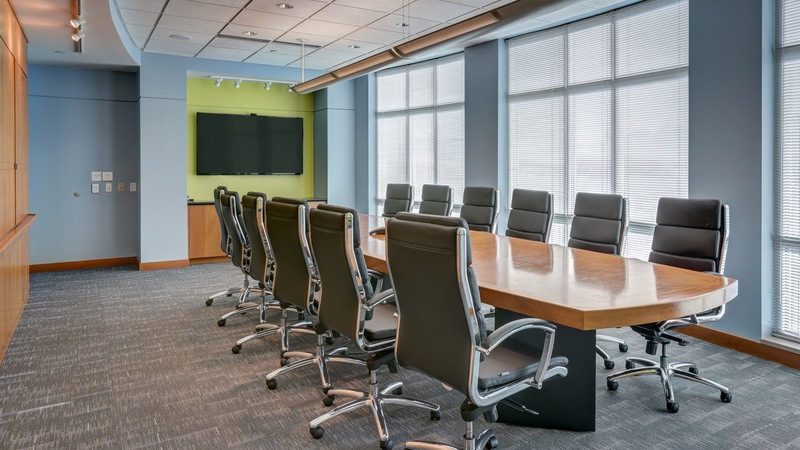 Collaboration was key for these clients; we were intentional with the furniture plan to ensure there were sufficient team meeting spaces on both floors of the office. 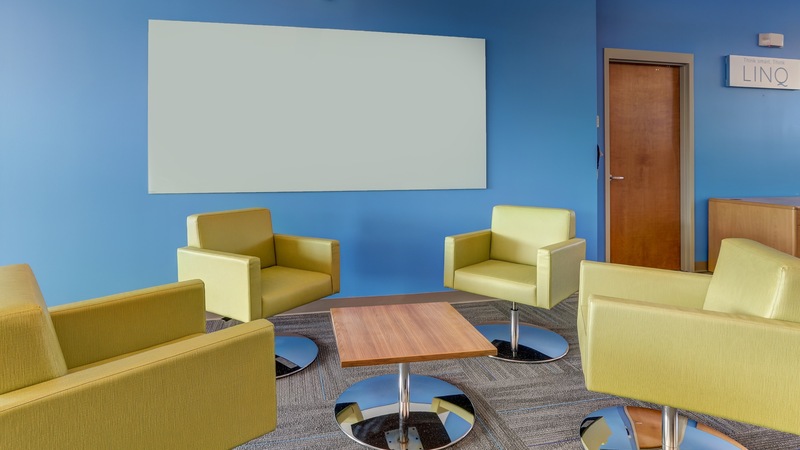 Energizing meeting pods were deliberately placed in the center of sets of four cubicles, so the team could quickly gather for a brainstorming session or meeting. 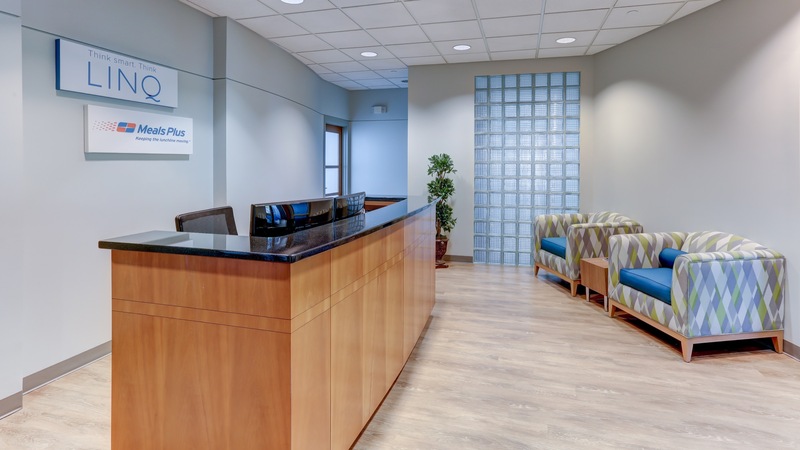 Branding colors were also incorporated into the carpet tiles, which have a gradient effect that starts more condensed and then diffuses into an organic, airy pattern. 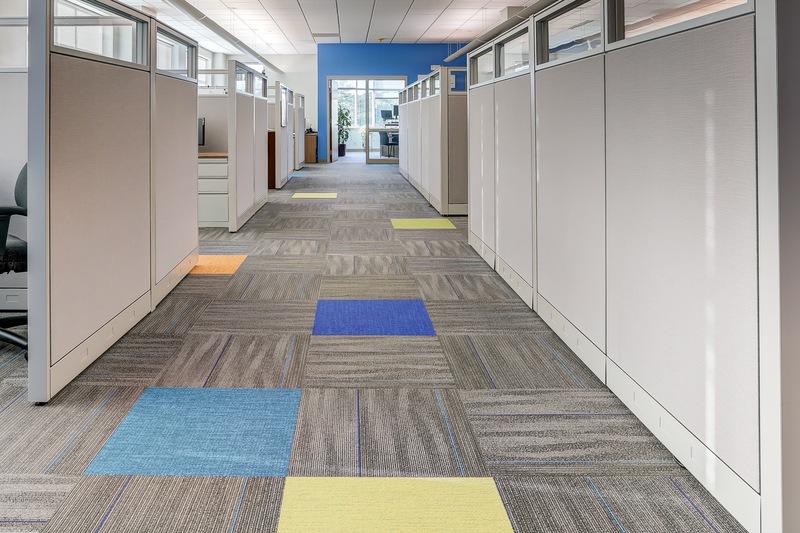 These added pops of color in the carpet tiles create direct references to the brand throughout the entire space. 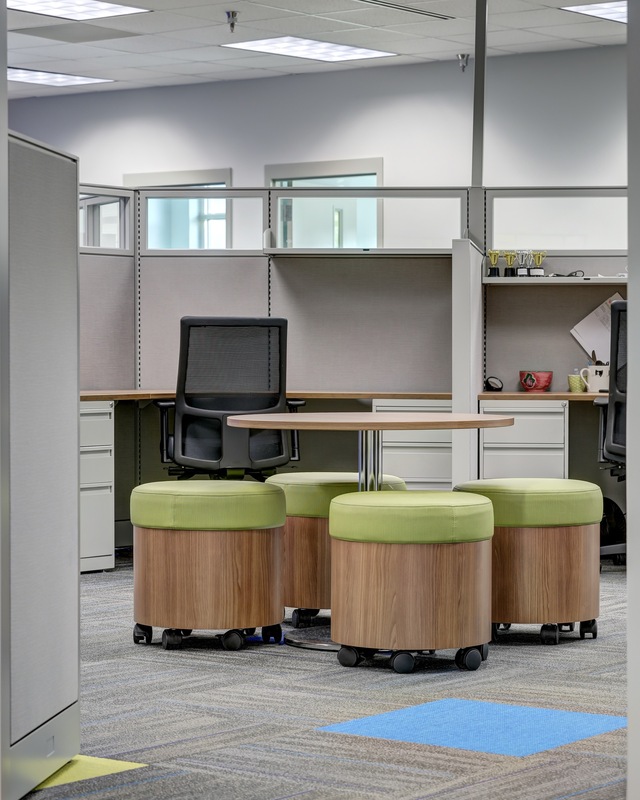 Energizing meeting pods were deliberately placed in the center of sets of four cubicles, so the team could quickly gather for a brainstorming session or meeting.